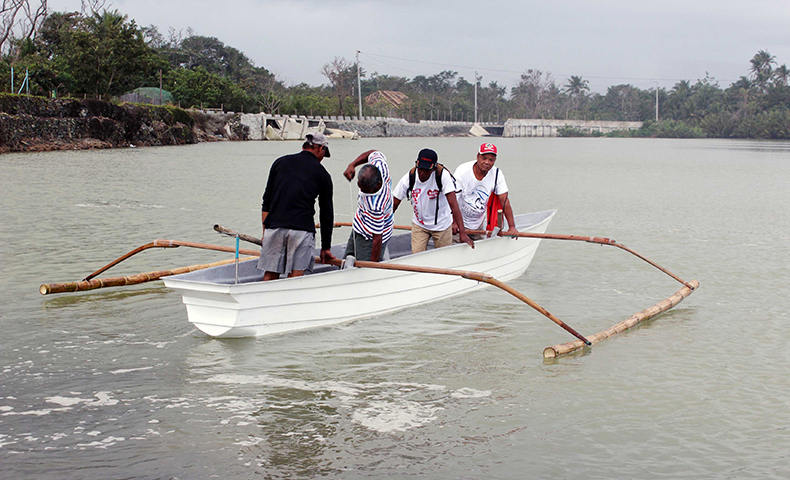 17 fishermen from four barangays in Baler, Aurora namely Sabang, Zabali, Pingit, and Buhangin, received motorized fiber glass boats each through Sagip Kapamilya. Fishermen trying out one of their new motorized fiber glass boats. This was done to assist fishermen and their families who were affected by Typhoon Lando.